Volkswagen, Mercedes Benz, and BMW were the best-selling car manufacturers in Germany with the most passenger vehicles sold in 2008. The VW Golf remained Germany’s favorite car. 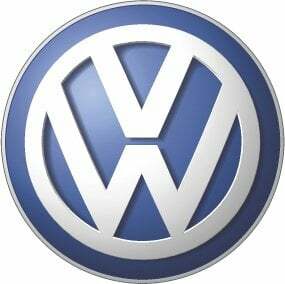 The best-selling car manufacturer in Germany in 2008 was again Volkswagen (VW) with a 20% share of the German passenger vehicle market. Mercedes Benz sold the second largest number of cars in Germany in 2008 and was followed by BMW (including the Mini brand), Opel, Audi, and Ford. In 2008, a total of 3,090,040 new cars were registered in Germany – 1.8% less than in 2007 for the worst performance since German unification in 1990. The German car market held up fairly strongly during most of 2008. Somewhat worrying for 2009, the deficit of around 58,000 less cars sold in 2008 than in 2007 only formed during the final quarter of the year. However, it should be noted that 2007 had been, until 2008, the worst year for car sales in Germany since reunification in 1990. There was no change in the car manufacturers represented on the list of top ten best-selling car marques in Germany in 2008 but there were minor changes in relative positions. Opel continued its recent mediocre performance and slipped down one position to allow BMW (including Mini) to become the third strongest selling passenger car manufacturer in Germany. Toyota (including Lexus brand cars) slipped two places down the list allowing Renault (including Dacia) and VW-owned Skoda to move up one place each. Renault, helped by its low-priced Dacia brand, became the top car importer into Germany in 2008. Of the major passenger vehicle manufacturers selling at least 30,000 cars each in Germany, Toyota had by far the worst performance in 2008. Toyota sold almost 37,000 fewer cars in Germany in 2008 compared to 2007 – a 27% drop. Other Japanese car producers had mixed fortunes in Germany in 2008 – Mazda and Honda saw a drop in sales while Nissan and Suzuki saw sales increase. German car producers had a relatively flat year although supermini car producer Smart could increase sales by almost 6%. In contrast to the British car market, where a strong euro and weak pound saw French manufacturers loosing sales heavily, Peugeot, Renault, and Citroen saw an increase in sales in Germany in 2008. The best improvement on the German market, however, was made by a resurgent Fiat. The Italian producer of mostly compact vehicles increased sales by almost 20%. In 2008, the VW Golf remained Germany’s favorite car model by far and easily maintained its traditional position at the top of the list of the best-selling cars in Germany.